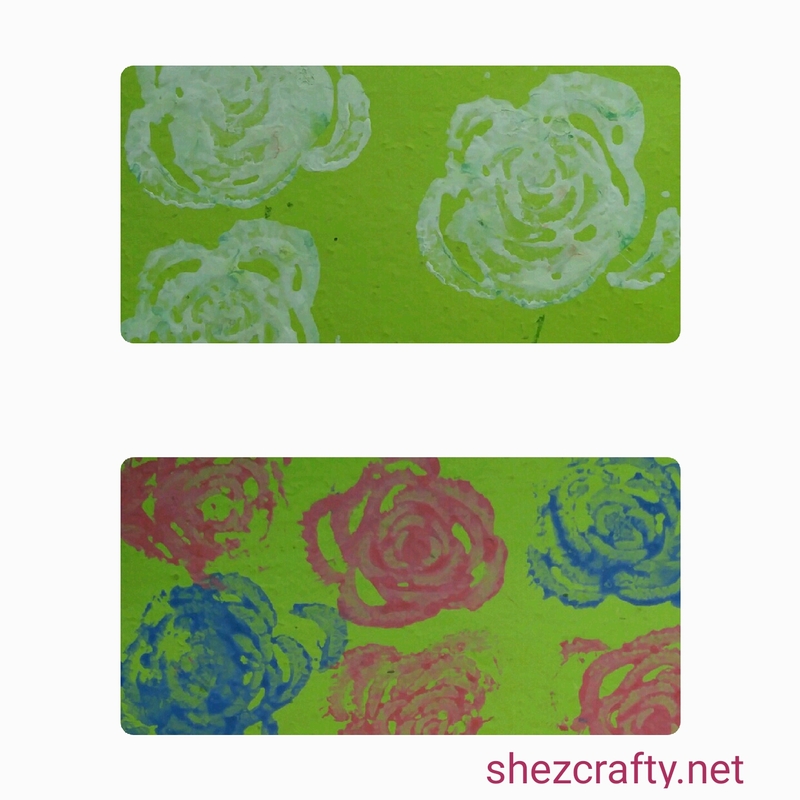 Another quick paint stamping project with the kiddos. Just cut up all your celery and use the end stock (the part you throw away) and let your little one stamp away. This makes such a cute rose print.